PVC casement windows are by far one of the most popular styles of double glazing available. These sleek and minimalist design windows blend in perfectly well wherever fitted. Here at Dunmow Double Glazing, we appreciate the importance of design and acknowledge that everybody has different tastes. To accommodate for this, we offer our uPVC casement windows in a range of attractive colours and finishes. Ensuring you get the perfect uPVC casement window for your Great Dunmow home. uPVC casement windows are designed to target energy efficiency and security. Helping you to enjoy a safer home, and reduce the cost of heating your property. The team at Dunmow Double Glazing have years of experience in the industry, fitting products to the highest possible standards. We are dedicated to offering the most competitive prices on the current market, and a leading customer service. Our team of home improvement professionals work around your busy schedule, only working at a time which is most suitable for you. When working on your property, we work quietly and respectfully. Keeping noise levels to a minimum and cleaning up all mess from the work site. If you have any questions before, during or after the work please do not hesitate to get in touch. As Essex’s leading double glazing and home improvements company, we proudly go the extra mile for all of our customers. Increasing the thermal performance and energy efficiency of your home is one of the leading reasons why people invest in modern double glazing. Our uPVC casement windows tackle energy efficiency in a number of ways. Working with you to save money on heating your home. Firstly, we use special thermally focused glass in our uPVC casement windows. The double glazing in our uPVC casement windows traps a layer of motionless air, which acts as a thermal blanket. Around the perimeter of each window, we fit a layer of high density rubber that eliminates cold air ingress, and prevents your expensive heating from leaving your home. We offer our full supply and fit service for bespoke double glazing solutions in Great Dunmow, Braintree, Chelmsford, Saffron Walden, Bishops Stortford, Stanstead, Thaxted, Harlow, Whitam, Billericay, Brentwood, Basildon and the surrounding Essex towns. We will offer our installation services outside of these areas, depending on the requirements of the work and scale of the project. Please get in touch with one of our team members today to see how we can help you. Ensuring the security of your property is of fundamental importance. You can have complete peace of mind that our uPVC casement windows offer exceptional levels of security. The combination of design and, advanced compact locking systems, ensures that our uPVC casement windows offer maximum security for your Great Dunmow property. Our uPVC casement windows are specifically designed to increase your home security. This is achieved in a multitude of ways. Firstly, the reinforced uPVC frame acts as robust casement for the glass and locking systems to fit inside. The frame is made up of a series of specifically measured, size optimised chambers. These are perfect for security and energy efficiency alike. A series of smaller shapes hold together to make an overall stronger frame, as opposed to a single hollow frame which could easily crack and weaken over time. We install intelligent and robust locking systems to our uPVC casement windows. Forged from the highest gradient steel, our locking systems grip the window to the frame. The physical lock is placed within the frame, far away from opportunist thieves. 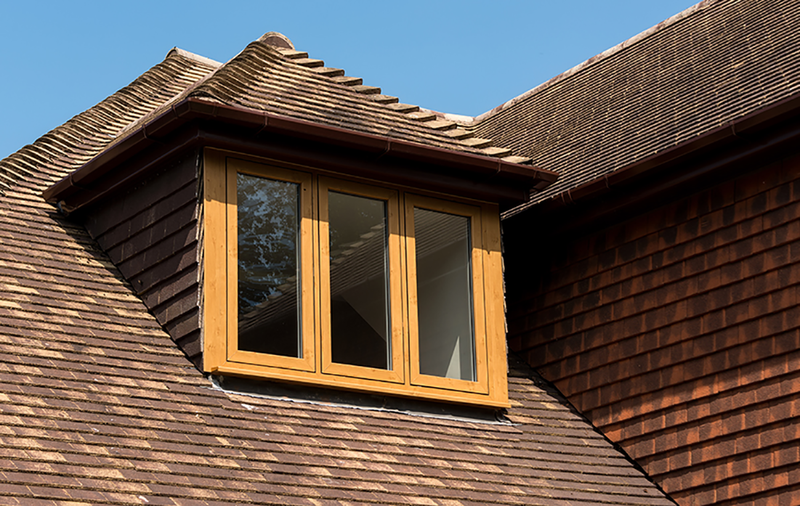 Our team of home improvement experts have been trained to the highest level, to ensure your casement windows perform to the best of their ability and rain their security for year after year. We are committed to providing an exceptional level of customer service, and competitive prices to all of our customers. We have invested in interactive software, which allows you to design your perfect window for your home and get a free quote in just two minutes. Get your free uPVC casement window price today in just two minutes by visiting our quote page. If you would prefer to speak with one of our polite and professional team members about your windows, please get in touch via our contact form or call us on 01371 821917 or 07809576227.